Your concrete walkway has long and deep cracks that are often filled with water. Your concrete walkway has sunk. Your concrete walkway is ridden with pits and potholes. Concrete cracks are usually the result of weather conditions. If the concrete walkway is exposed to extreme temperatures, it will shrink and expand and crack in that process. Sinking of concrete is usually caused by the drainage problems. If the drainage is not good or your concrete path does not have a good base, it will definitely start sinking. Sinking then can cause cracking, and before you know it, your walkways is unusable. More importantly, it can become a tripping hazard. Pits and potholes can have different causes. They can also be a result of harsh weather conditions, but they can also happen with heavy trucks or vehicles apply pressure or get parked on a walkway regularly. Additionally, if you throw salt on your concrete to avoid ice forming, it can eat through the concrete in time and create pits and potholes. It all sounds easy on the paper, but when it comes to determining whether you really have to replace your walkway this year or it can wait for the next season, you need the word of a professional. Get quotes and advice from professional concreters and hire the best one for your project. How Much Does It Cost to Remove Concrete? Your first step is to remove your existing concrete walkway. This is not a small item on your price list. Concrete removal costs $35 to $50 per m2. This is the price for a professional to come with the special machinery and remove your concrete slabs. However, concrete disposal is a different story. Some of your concreters will include the concrete disposal in their price per metre. Others will expect you do take care of that work. If you possibly can, hire a person who takes care of the concrete debris themselves. Renting a special bin and cutting the concrete into chunks that fit in the bin are additional expenses, and they are a lot of hard work. Once you agree on the price and the extent of the concrete removal job, your contractor will dig out the concrete and cut it into smaller pieces. 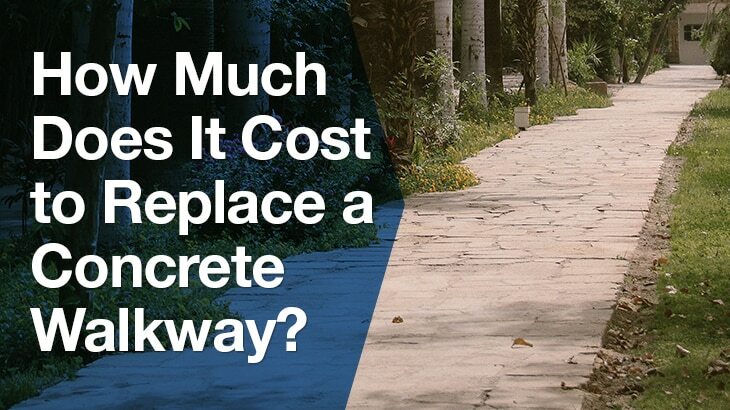 How Much Does It Cost to Pour Concrete Walkway? The range of prices for a concrete slab is $25 to $150 per square metre. However, the average price is around $60 per square metre. Also, you need to keep in mind that some contractors have a minimum price of $1,200. The price varies due to several factors. The first is the soil on which you need to make your concrete walkway. If the soil doesn’t provide enough drainage, you need to start by creating a strong gravel base. Of course, it means more work, consequently more money needed for the project. Creating base is not that complicated. You first need to make sure that all the soil is cleaned and that there is no residual debris from your previous concrete walkway. Remove all bigger stones, as well. After that, the entire length of the walkway that needs concreting should be compacted. When that is done, a layer of gravel needs to be added. The gravel level also needs compacting. Before preparing the soil and adding the gravel, you need to position entirely new formwork for your concrete slab. That formwork will determine the shape of your concrete, so make sure that you have it right. Usually the formwork is timber, but today you can find flexible materials that allow you to create winding and curved pathways, as well as the straight ones. Pouring the concrete is your next step and that should not be an issue. If you are working on a sloped terrain make sure that you fill ‘valleys’ before the ‘hills’ for your concrete slab. When you pour it down, level it and the first part is done. Stamped concrete is very popular option. It is probably the most widely used way of decorating concrete walkways. It costs around $75 per m2 to stamp concrete walkway. This means that the walkway will be treated while it is still wet. Your concreteters will take special big stamps and press them against the surface of the concrete. This will leave interesting marks that can be in any way you like. There are other ways to decorate your concrete other than stamping. Stenciling is another option and it costs around $50 per m2. This involves treating the surface of your concrete walkway with different colours, creating interesting patterns and stencils. By utilising these techniques, you can make your walkway look very interesting. It can make your path look like a cobblestone path, a brick walkway or even a timber sidewalk. If you are willing to pay extra for these treatments, they will definitely add to the value of your home and your backyard. Besides these, you can also go for concrete staining, colouring and polishing. New ways of treating concrete are emerging every day. Therefore, your best bet is to find a professional who can do your project for you and ensure a durable, sold and well-designed walkway. 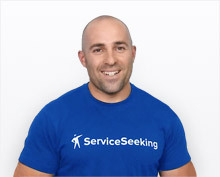 Pricing doesn’t have to be an issue, because you are not obliged to hire every contractor you talk to on Service Seeking. You can ask for quotes from different concreters and decide after you see who will do the best job and still fits within your budget. You can also see the testimonials of their other clients and verify the quality of your concreter. 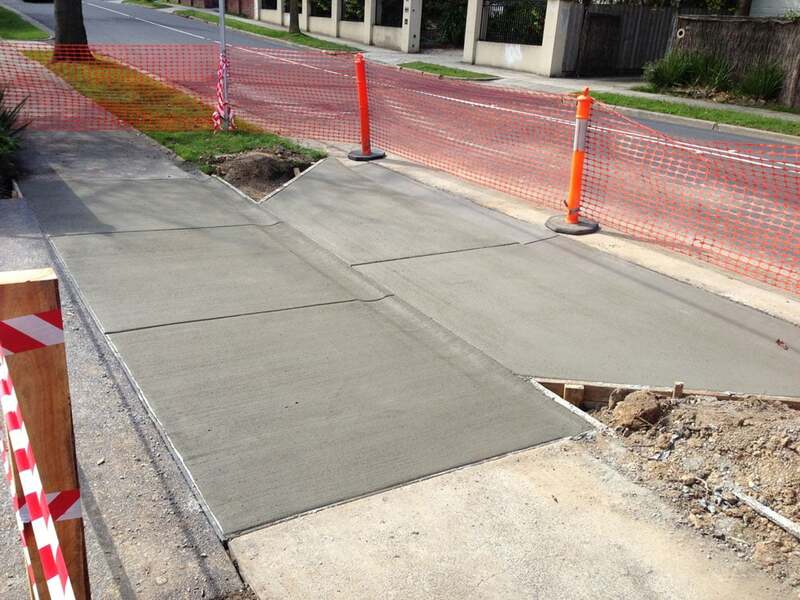 Get your best quotes from experienced concreters all over Australia.